The different skateboard parts are here. There are pictures, descriptions and some tips on maintenance. Don't skimp on quality when buying a skateboard. $200 for a new board might seem steep. It is worth it to have a strong board that rolls smooth. Plus I have tips on getting a great board without breaking the bank. For beginners and advanced skaters too. Don't forget shoes, tools, wax, pads and helmets. These will all help you skate better and safer. The skateboard deck is the largest part of the entire skateboard. Decks a of maple, bamboo and plastic. The shape, size and material will depend on what type of skating you do. 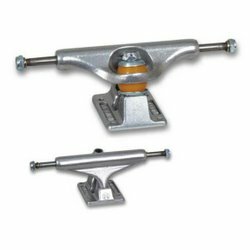 The skateboard trucks are the metal part that connects the board and the wheels. You can tighten and loosen them to adjust your board feel. Letting the skateboard turn slowly or quick. 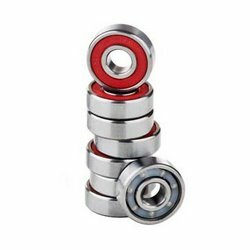 Skateboard wheels come in a lot varieties. Soft, hard, small, square and more. Like decks they shape makes a difference in how the board will feel. Inside the wheels skateboard bearings take a lot of abuse. They are what makes the board roll well. The skateboard hardware holds the deck to the trucks. 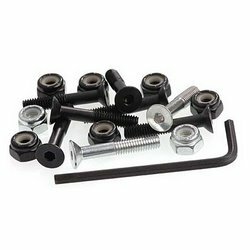 8 nuts and 8 bolts that hold it all together. 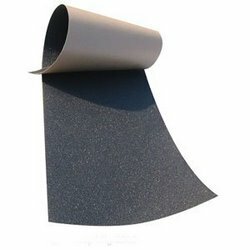 Skateboard griptape is the secret to doing skateboard tricks. 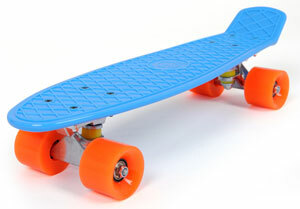 It allows you to grip the board with your feet. This makes the board stick when you are doing tricks. These are an option depending on your needs. 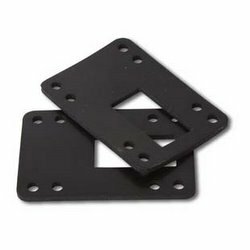 Look at skateboard risers to see how I use them. 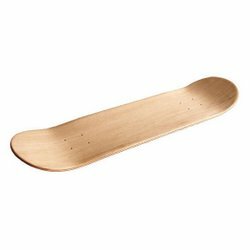 There are more types of skateboards. Each kind has these basic parts in one way or another. 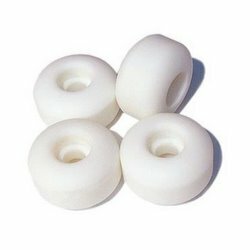 There are many other skateboard accessories. They include, rails, sparks, coloured griptape, copers, tail blocks and a lot of other stuff. Pick your style. Longboards and cruisers are fun. Trick boards have many shapes. Some look like coffins. I like the generic double kick board. It is the best all-around skateboard shape. It allows you to do any of the things that the other styles do. Plus it is great for doing skateboard tricks. The best thing is to pick what you like. Ride what you like and have fun.